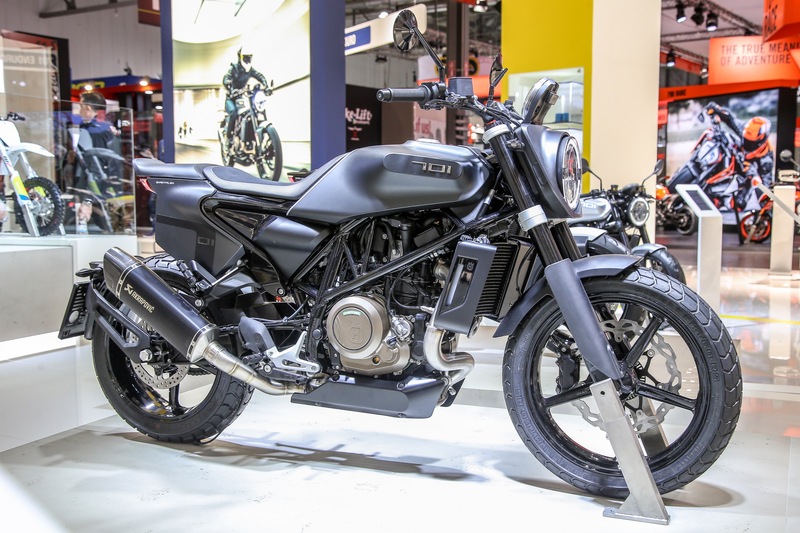 As we get ready to head to our local International Motorcycle Show stop in Long Beach, CA, we wanted to look back at some of the best bikes of EICMA 2018. Next year looks like an exciting time for performance-minded motorcyclists, adventure enthusiasts, and those looking for stylish bikes. Hopefully, we will have a chance to see some of these new models in person. So, look forward to our video recap from IMS Long Beach. 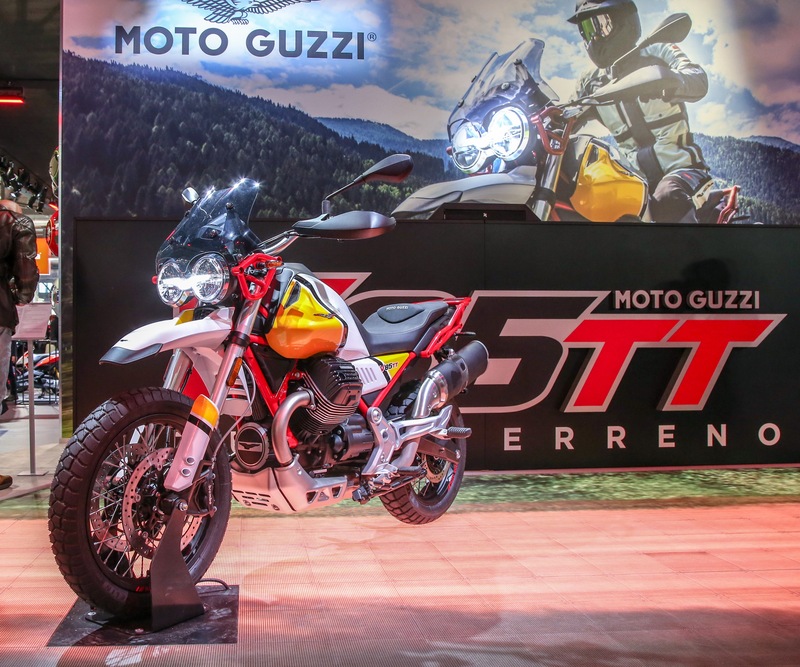 Though it’s entirely subjective, we’ve put together a list of our top 10 motorcycles from EICMA 2018. 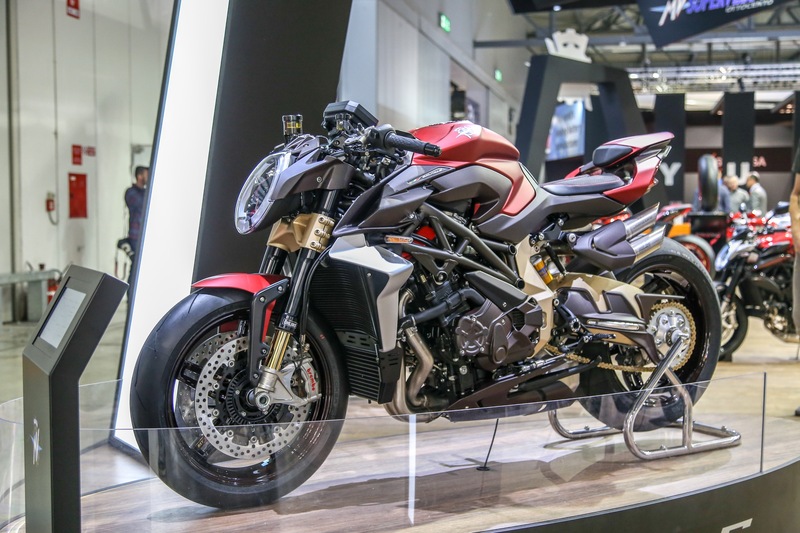 The fact of the matter is that sometimes we see bikes an EICMA that are only concepts or prototypes, but they leave us drooling nonetheless. The Aprilia RS660 is one of those bikes. The RS660 is intriguing for many reasons. Aprilia says, “the Concept RS 660 is a possible response to the demand of new generations for fun bikes that are capable of thrilling on the road as well as on the occasional track day.” Interesting. As the 600cc sportbike market has seemed to be on a decline here in the U.S., maybe this is the bike we need to revitalize it? The fact of the matter is that Aprilia is well known for building some of the best chassis in the world, see RSV4, which translate into phenomenal rider feedback and razor-sharp handling. Put that proven experience together with a new compact 660cc parallel-Twin engine, and we think this bike will be a track weapon to be reckoned with. Please, please, please bring it Stateside, Aprilia! For more details on the Aprilia RS660, click here. 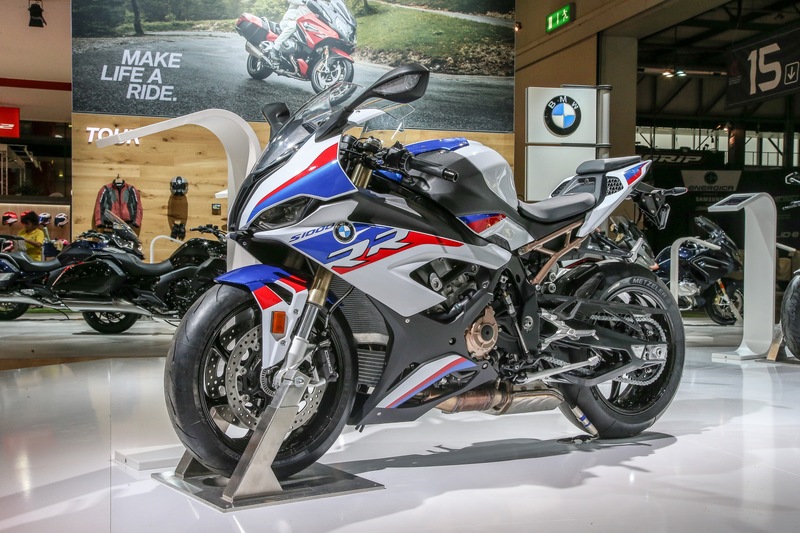 BMW’s S1000RR dominated the field when it came into the liter bike class more than ten years ago. In fact, it’s really only more recently that the S1000RR has started to feel the heat of competition from others in the segment. We’re excited for the revamped 2019 model. BMW claims an entirely new engine with variable valve timing that produces 205 hp. Gone are the asymmetrical styling cues of the previous iterations in favor of a more racy and aerodynamic look. The new Shiftcam tech, recently shown being used on the R 1250 GS, has been implemented to increase low and mid-range torque while keeping high-revving horsepower. It’s not hard to get excited when a top-of-the-line sportbike receives an overhaul. We can’t wait to throw a leg over this one and spin some laps. To learn more, click here. Sticking with the sportbikes for a bit longer in this list, we bring you the WSBK-legal Ducati Panigale V4 R. Boy, is it a knockout in the looks department, but the spec-sheet delivers the final blow. 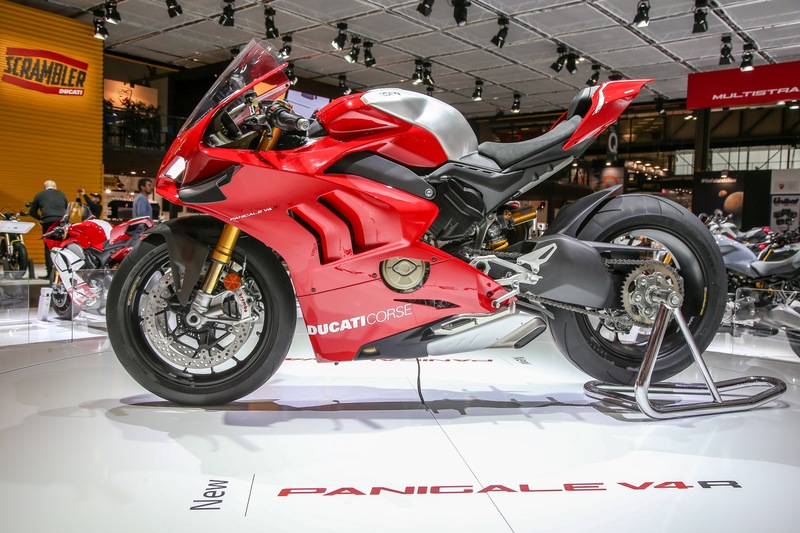 Ducati claims 221 hp at 15,250 rpm as standard, and when fitted with the full-race Ducati Performance exhaust by Akrapovič, the number climbs to 234 hp at 15,500 rpm. 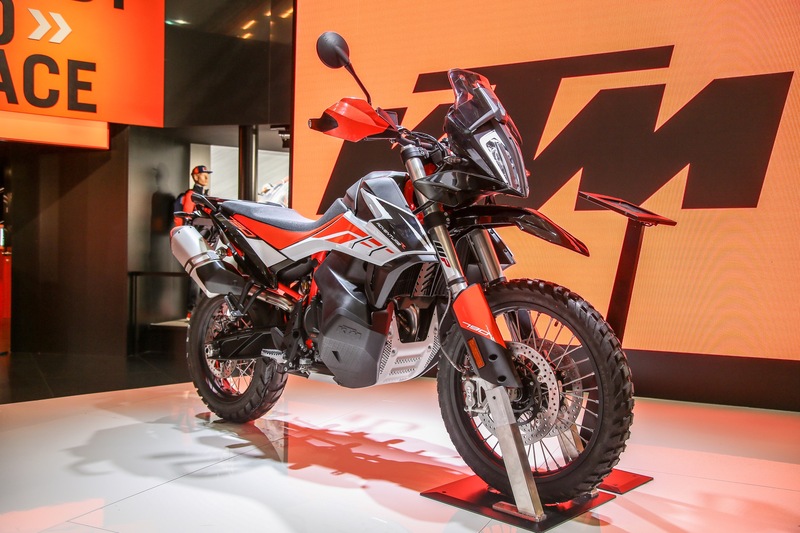 Thankfully, from Kevin Duke and Troy Siahaan’s experience with the 1,103cc version, we expect the electronic rider aids are just as advanced for keeping all of that power some kind of usable. This holiday season, we’re thankful for manufacturers dumping R&D into new sportbikes giving us a reason for another superbike shootout sooner than later. For anyone who likes performance and fun, supermoto-style bikes are a catalyst for both. 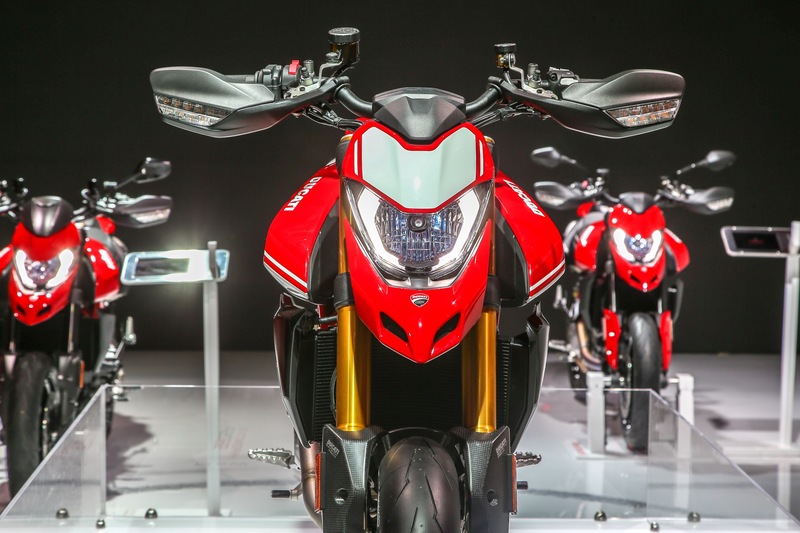 Ducati has produced more than a few iterations of the Hypermotard over the years, including the monstrous 1100, before dipping in displacement to the 796 and making its way back up (with a few in between) to EICMA’s unveiling of the new 950. 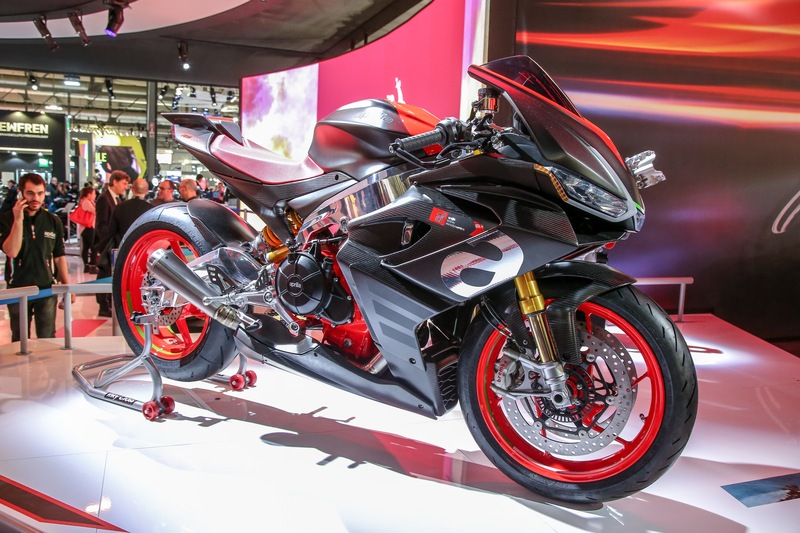 The new Hyper receives the 937cc Testastretta 11° motor, a six-axis IMU, new rear subframe and a brand new look for 2019. Though the 2019 950 shares the same displacement with the outgoing 939, the new motor has a higher compression ratio (13.3:1 vs 12.6:1), new exhaust system, revised exhaust cams, and new throttle body all contributing to a bump in hp and torque over the previous engine. Slight geometric tweaks have been made as well as weight saving measures to deliver an upgraded model for 2019. Again, a bike we are looking forward to jumping on. Learn more here. After sampling the Svartpilen 401 and Vitpilen 701, I was even more excited at the prospect of a production Svartpilen 701. The Svartpilen, or “black arrow”, derives styling the flat track while keeping the ultra-modern lines and bodywork found the other production ‘Pilens in the lineup. Whereas the Vitpilen 701 had a rather aggressive and sporty rider triangle, the Svartpilen should be more upright and neutral. We were big fans of the lightweight sporting characteristic of the Vitpilen 701 and look forward to testing the torquey 692.7cc SOHC Single in the Svartpilen with different rider geometry. We’re happy to see Kawasaki’s 399cc parallel-Twin from the Ninja 400, a bike we’ve had plenty of fun on, being plugged into a new chassis. 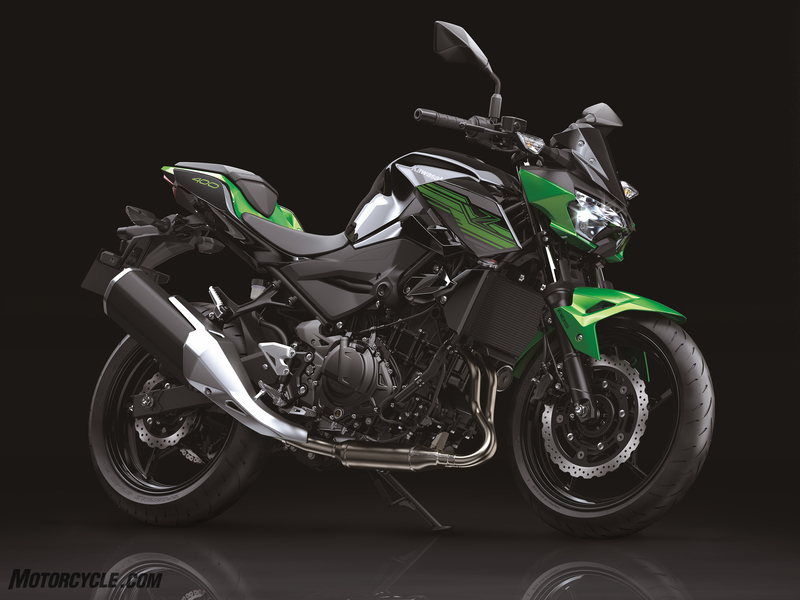 Perhaps the new Z400 will be a worthy contender against the reigning champ of lightweight nakeds, the 390 Duke. At 368 pounds and $4,799 with ABS, the new naked seems agile and priced to sell to those looking to have sporty weekend jaunts or fuel efficient commutes. Kawasaki’s Sugomi-styling is brought over from the rest of the Z family with aggressive lines making the lil’ Z a sharp looking bike. We look forward to seeing the 399cc parallel-Twin used in other bikes as well. Cough* Versys-X *Cough. Kawasaki dipped its toes into the neo-retro market with the Z900RS and RS Cafe which must have been a hit considering the 2019 W800 CAFE goes full retro, a modern interpretation of Kawi’s 1966 W1. The W800 is powered by a 773cc air-cooled fuel-injected parallel-Twin with a SOHC and four-valve heads. The W800 CAFE exudes classic styling from its pea-shooter exhaust to its fork gaiters and retro tank design. Kawi has also made the bike easy to customize with the forethought of designing the rear fender to be easily removed. Let the customization begin. Combined with the teasers of Chris Birch showing off on the 790 Adventure and our own experience with the 790 Duke, which shares the same 799cc LC8c parallel-Twin, we have to admit we’re pretty excited to see just how capable the 790 is. The R’s much larger 48mm XPLOR fork and XPLOR rear shock should offer better performance off-road while also providing more travel. Hopefully, we have a chance to test the 790 Adventure ASAP. 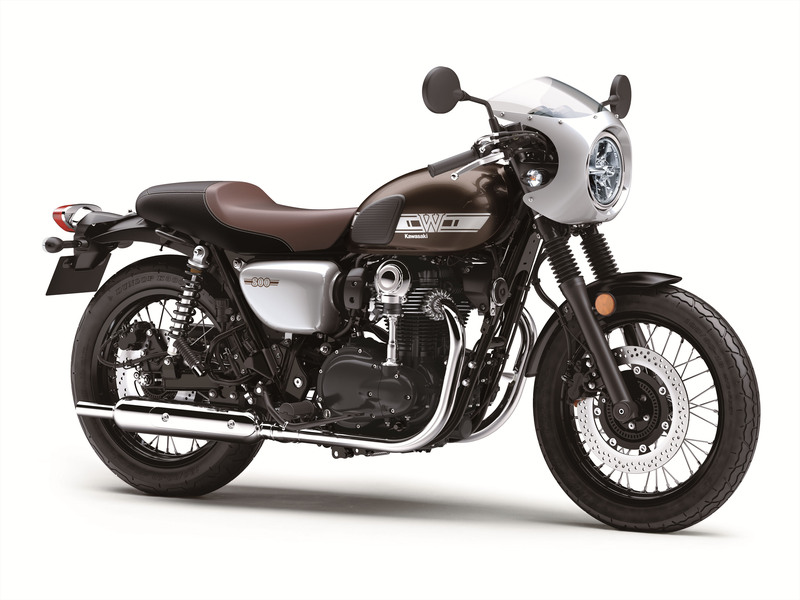 With an 853cc air-cooled 90-degree two-valve transverse twin, shaft drive, rider modes (selectable via the TFT display), TC, ABS, and cruise control, the V85 TT is set for the long haul. Not to mention the styling of the bike looks great in our opinion. Here’s to a resurgence of classically styled ADV bikes! MV’s Brutale 1000 Serie Oro is one serious bike. The 1000cc engine powering the new Brutale is derived from the MV Agusta F4 RC sportbike and is said to produce 208 hp as standard. With all that power MV decided they needed to throw some wings on this bad boy for added stability. Carbon fiber has been used throughout the machine to lighten things up including wheels and bodywork. The rear of the Serie Oro makes you hate to see it leave, but love to watch it go. MV Agusta says only 300 of the Brutale 1000 Serie Oro special edition models will be made and, if you have to ask how much, you know how it goes. Pricing and availability has yet to be announced.